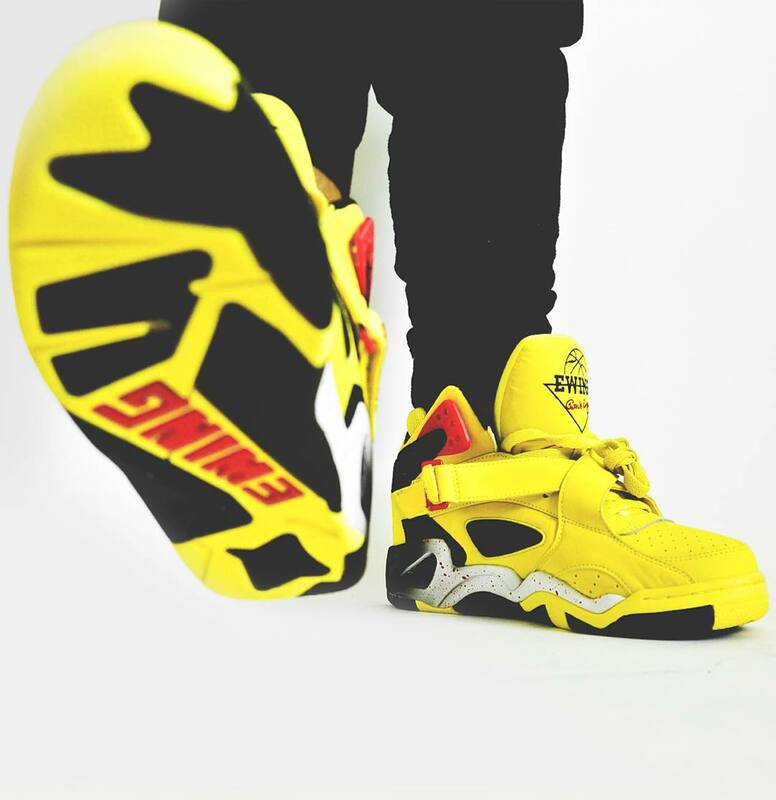 And two other pairs for its monthly drop. 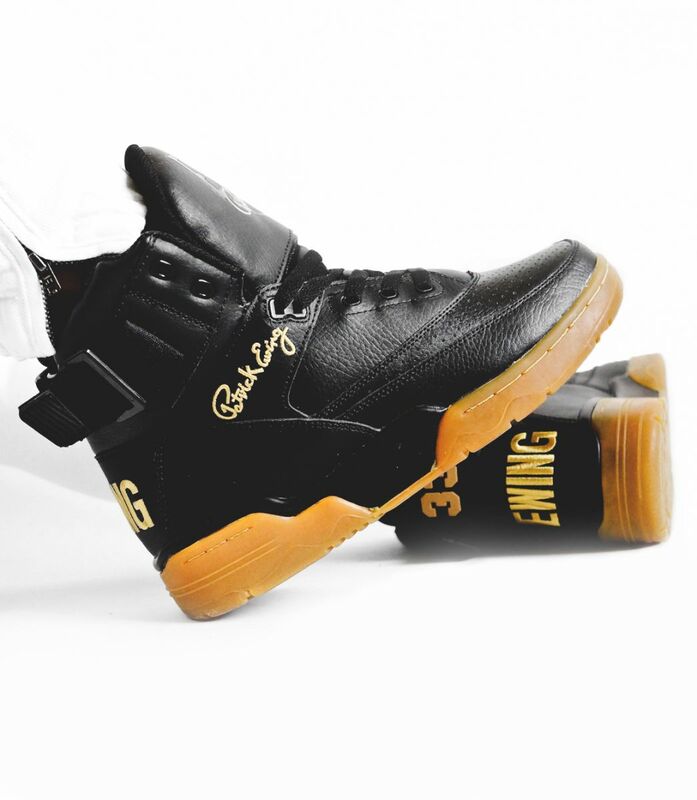 Ewing Athletics is back with another of its monthly packs of retro sneakers, this one giving fans of the brand more options for December. 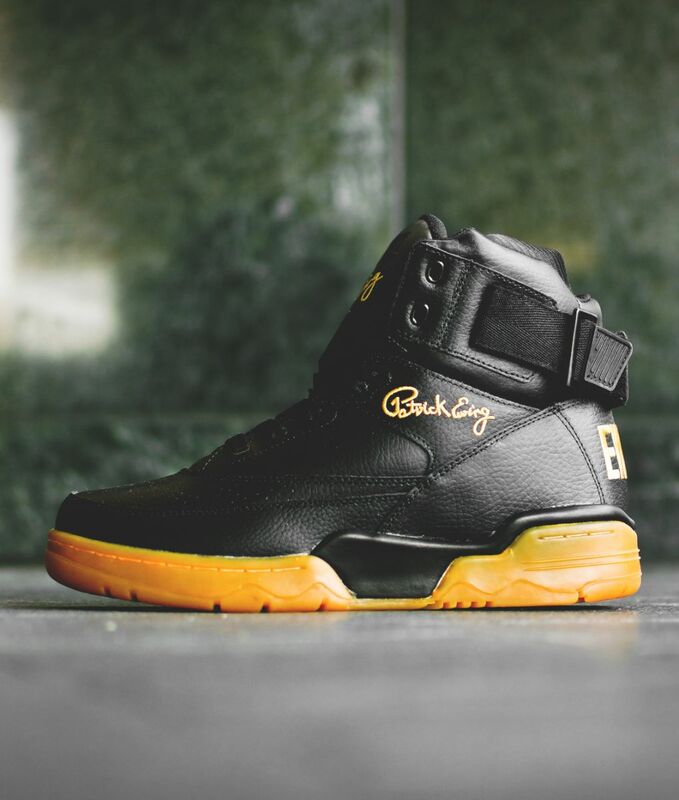 Rounding out 2015 will be two colorways of the Ewing 33 Hi and one Ewing Rogue. 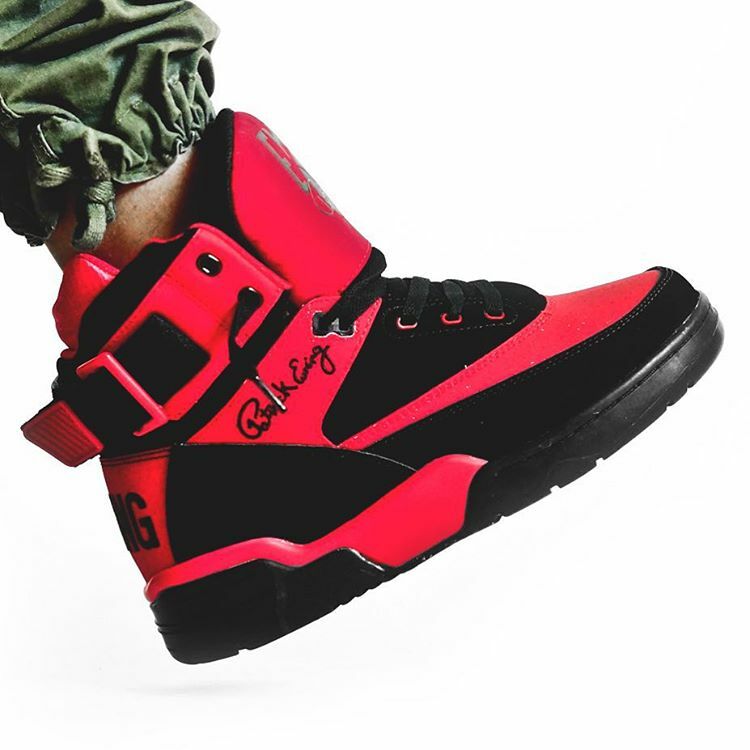 The first 33 Hi comes in the original "Bred" look, featuring black and red colorblocking throughout a full nubuck upper. 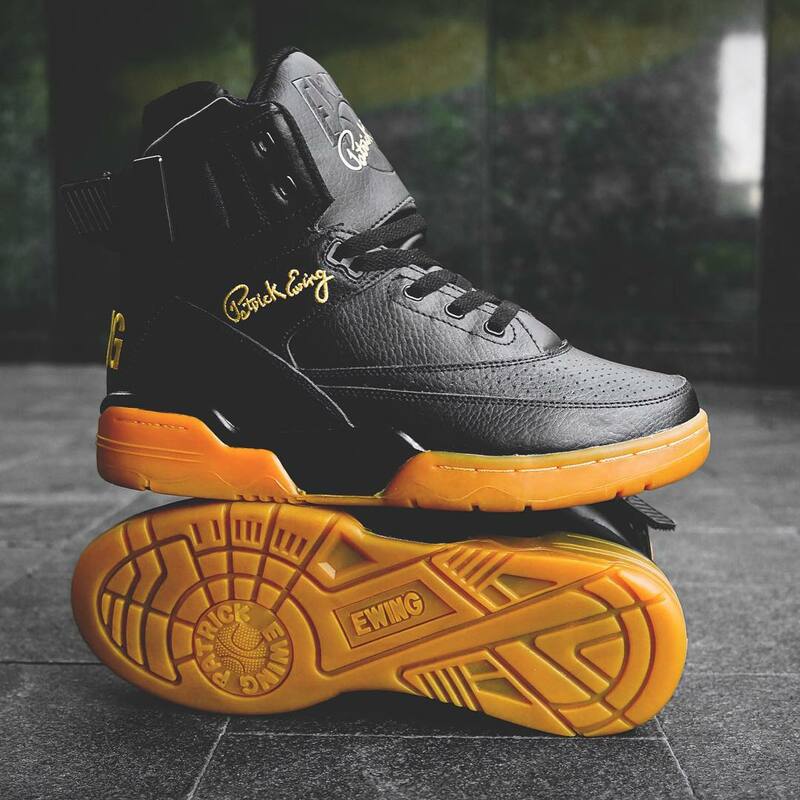 The second sports a black-based tumbled leather upper with gold branding and a full gum sole. 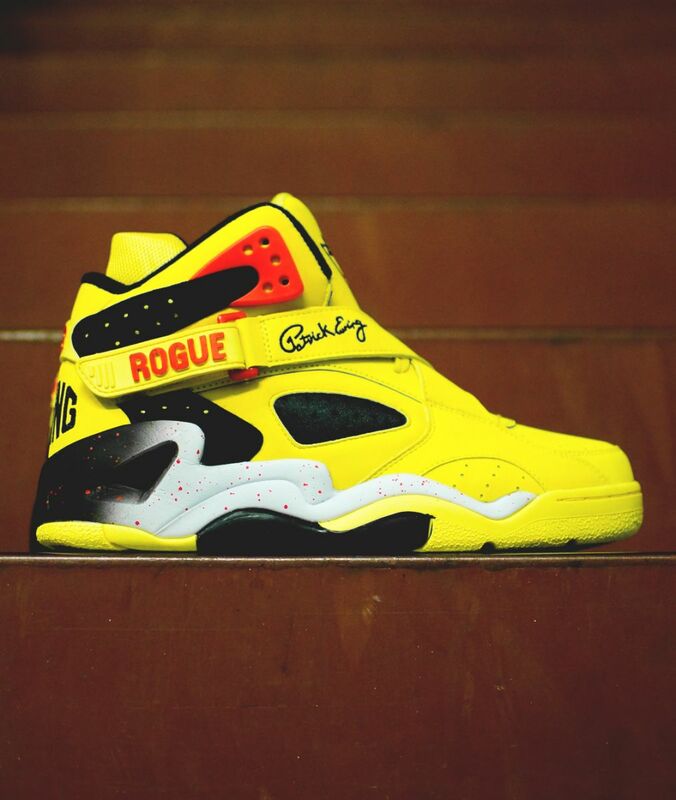 Rounding out the set is a vibrant new colorway of the Rogue, which is the most limited of the three. 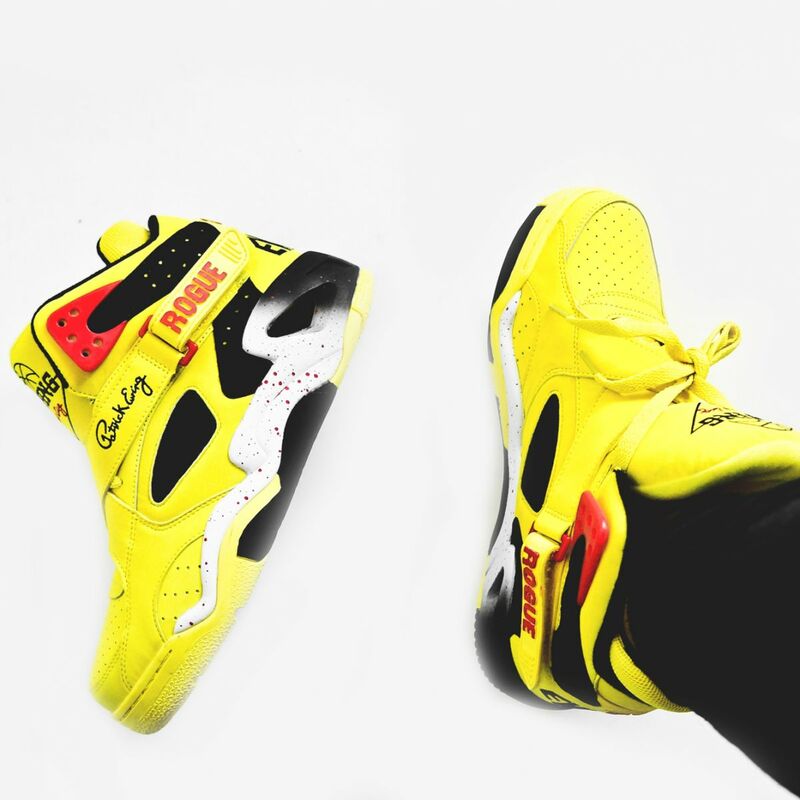 This pair features a blazing yellow-based leather upper with red/black accents and a speckled midsole. 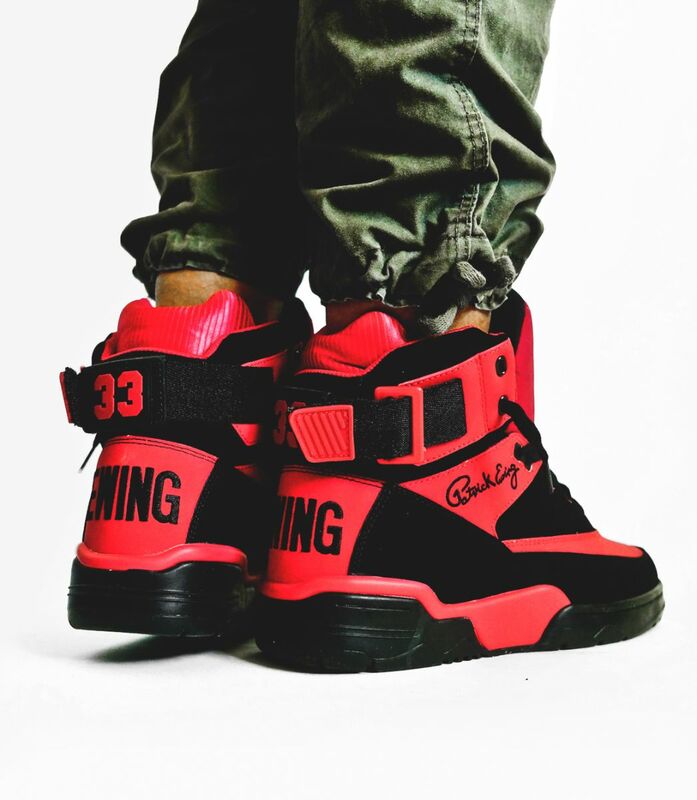 Look out for both colorways of the 33 Hi along with the Rogue at select Ewing Athletics retailers on Friday, Dec. 18, for $120 each. 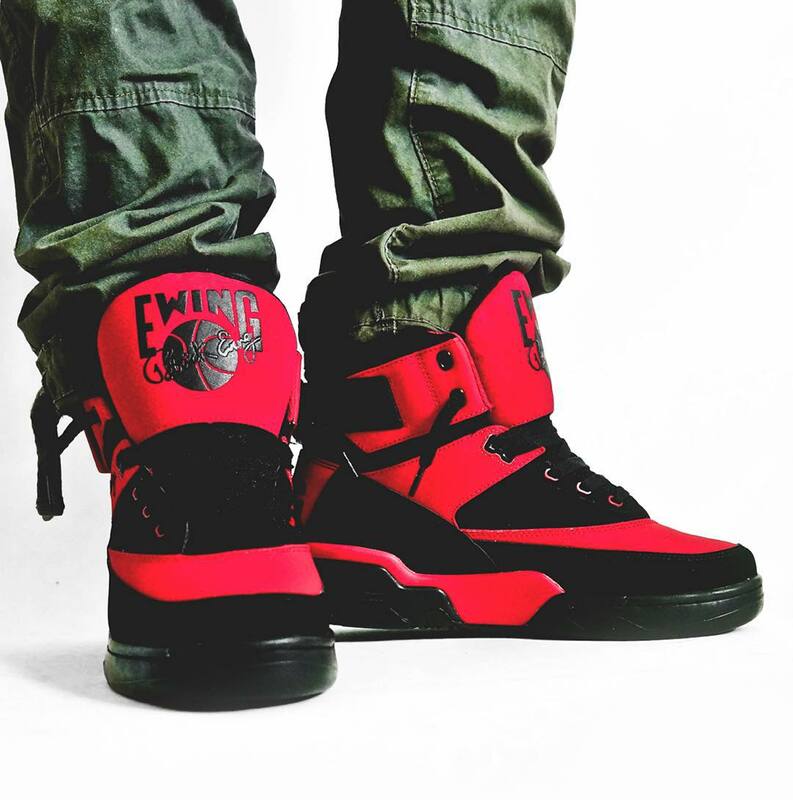 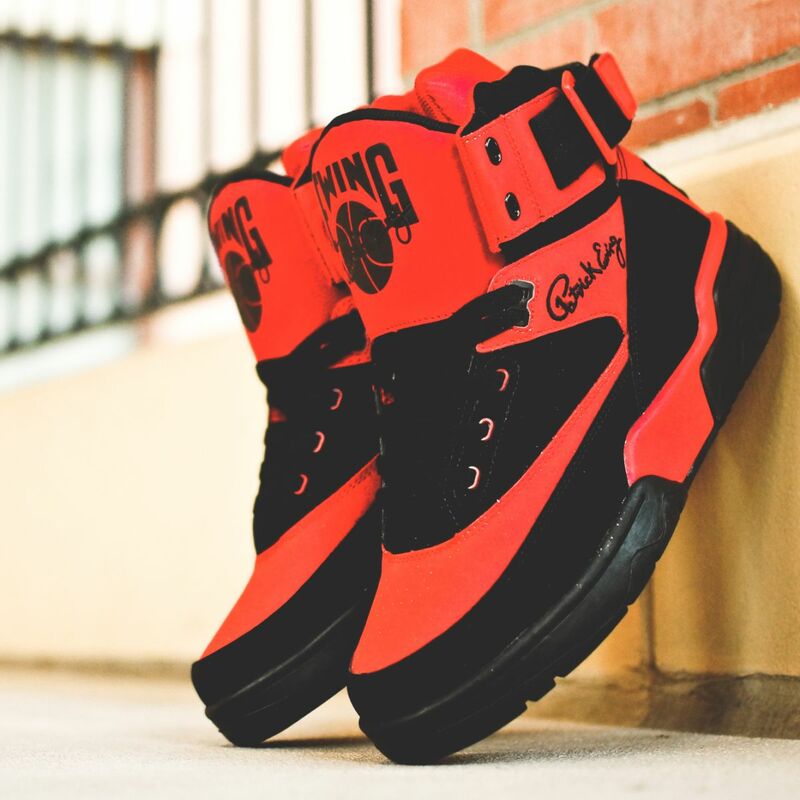 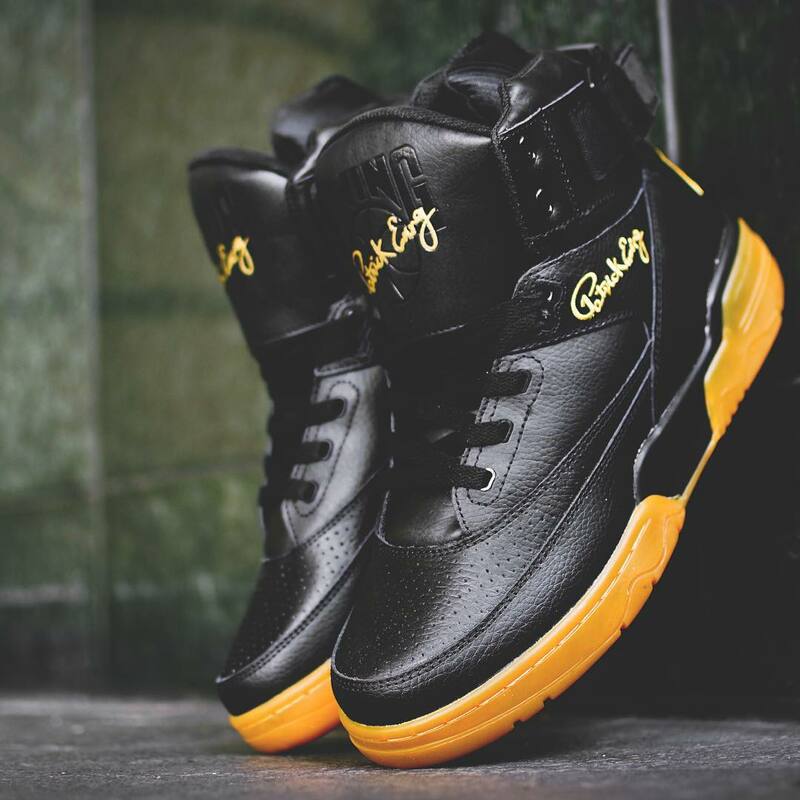 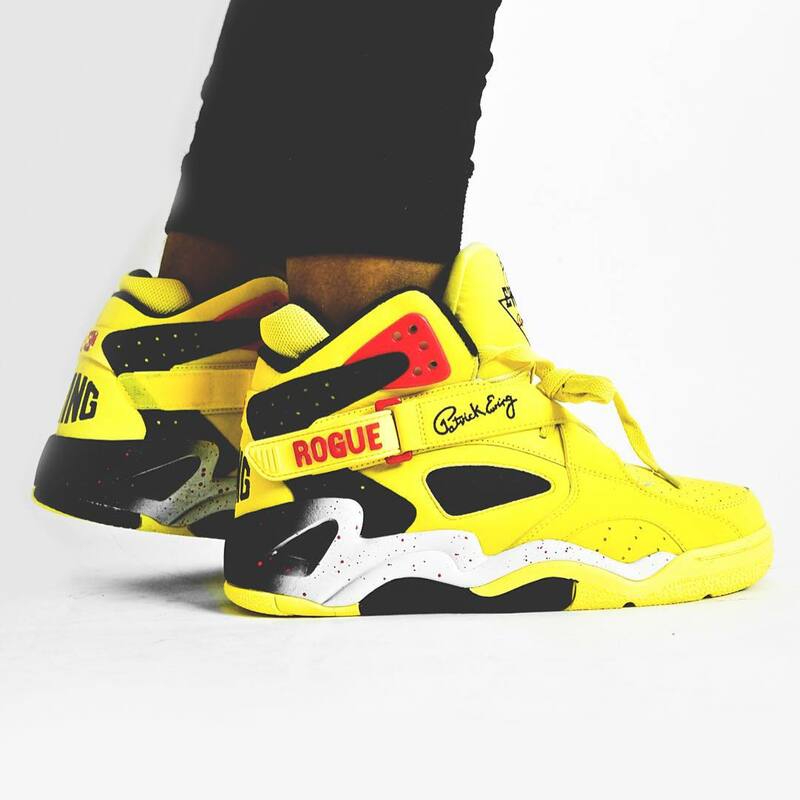 Ewing Athletics Ewing 33 Hi "Black/Gum"
Ewing Athletics Ewing 33 Hi "Black/Red"
Ewing Athletics Ewing Rogue "Blazing Yellow"